An annual survey suggests that scepticism towards speed cameras is declining, with more people believing the technology saves lives. The British Social Attitudes Survey for 2017, published today (12 July), shows 29% of people believe there are too many speed cameras – down from 47% in 2008. Meanwhile, 60% of respondents said speed cameras save lives – up from 42% in 2005. 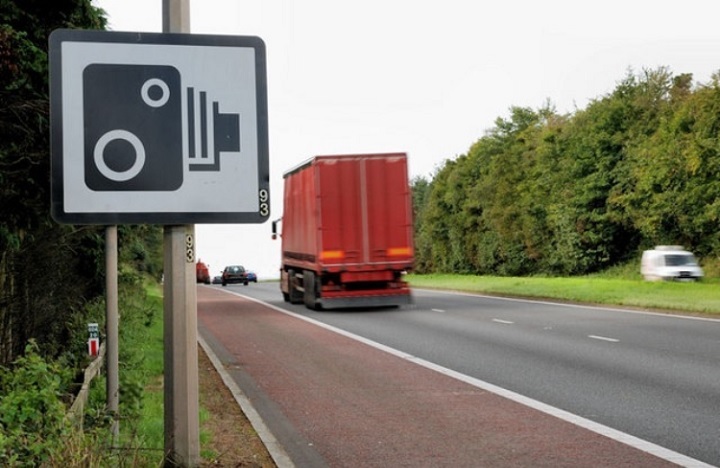 42% believe speed cameras are mostly there to make money, down from 58% in 2004, while 55% agreed that ‘average speed cameras are preferable to fixed speed cameras’. The Government has been conducting the British Social Attitudes Survey, which measures people’s attitudes to transport, since 1996. It covers issues including willingness to change current travel behaviours, attitudes to the environment and transport, congestion and views on road safety. 90% of respondents believe using a hand-held mobile phone at the wheel is dangerous, a figure which falls to 53% when discussing hands-free devices – with 41% believing hands-free devices should be banned. 85% believe that ‘if someone has drunk any alcohol they should not drive’ – however 71% believe that ‘most people don’t know how much alcohol they can drink before being over the legal drink drive limit’. 30% want residential streets to be closed to through traffic, while 47% are in favour of having speed bumps to slow down traffic. Looking at the environment, 63% of respondents are concerned about exhaust fumes from traffic in towns and cities – up from 44% in 2012. Willingness to buy a car with lower CO2 emissions has risen to 79% in 2017, from 72% in 2011. No you can not at all Rod. I am fully aware of the dangers on the road with nearly 70 years of usage and I concur that sometimes a slower speed is needed to generally improve others safety on the road. I myself have for many years driven and ridden at speed more akin to 20 mph whilst on residential streets and I have said so a few times on this site. Maybe you have forgotten to register that fact. but I don’t believe that its just speed alone that needs to be changed to achieve both our aims and that is of drastically reducing collisions be they involving pedestrians or other road users. I am also on the side of reducing this carnage. PS. I cannot agree with your statement in paragraph one of your last submission. If you are arguing that given the wider picture and the country as a whole many more incidents, collisions and casualties are created in residential areas as opposed to the obvious massive numbers of casualties associated with incidents and collisions on our main roads and motorways. I fail to understand that and the remainder of your submission. What is obvious is that I am sceptical of the scheme and its publicity that all will change as your organisation has described and of the benefits that a change in the speed limit will deliver what is suggested it will.. I do not know if it will ever fulfil to any great degree just what its aimed to do. In the meantime resources that could be supporting other just as important interventions are not being engaged in due to the apparent success of this scheme. However and wherever you look at Crashmaps you will find that the largest “cluster” of casualties are the unclustered scattered casualties. These will not be usefully addressed by post casualty engineering but by wide-area changes in the way we use and share those roads. Wide-area 20mph limits are part of the process to change public consensus and attitude on the way we use roads where motor vehicles mix with pedestrians and cyclists. And of course, some people will object to that. As the British Social Attitudes Survey shows those are the 10% that disagree with setting a 20mph limit for residential roads. I presume that you can be counted as one of the 10%ers! Rod. I did read the report in full. A lot of what I read in that report was also conjecture. Playing around with projected figures to benefit a scheme that is not in actual fact producing the results promised. The truth of the matter is – and one can easily verify that by a simple look at CRASHMAPS – that the greatest reduction of casualty and collision figures mentioned actually relate to main A and B roads within the Calderdale area. Not ones subject to the implementation of the 20 is plenty scheme at all but included into one final reduction that they or you have mistakenly or otherwise attributed as a success to the scheme. You may not know about my other comments but I am sure that many others do and understand full well their implications. That once again we are not being told the whole truth. Fluff, fogging and vagueries is all we have been getting for years. Let’s face facts. The vast majority of pedestrian casualties occur not on residential streets but on busier main roads where there is a greater danger to pedestrians. So any effort to reduce the numbers of such collisions on residential streets is only going to effect a small number of casualties (not that that is not commendable) whereas if work was done to alleviate the problem on our main roads then a successful intervention would be more worthwhile as it could reduce pedestrian casualties considerably. I don’t really understand what the rest of your comment means. It seems to bear little relationship to our FAQ. Rod you must know that a % reduction means next to nothing. Your paper reports that collisions to pedestrians or all collisions in general in Calderdale have been reduced by some 30% and presumably one takes full credit for that massive reduction. However that could mean that last year only 2 collisions have taken place rather than the previous year when there were three collisions. If its about the complete area and the whole gambit of collisions that you feel responsible for reducing I don’t know how you can entertain that as in the main 90% of collisions occur in areas and on roads that are 30 mph or more and not ones that have undergone any change to 20 mph. Perhaps that reduction has come about by the due diligence of the police in undertaking a visible preventative presence on those main roads as part of their normal duties. I have read the paper and have numerous issues with it that need not be mentioned on this site. Maybe the the councillors and officers concerned have see our FAQ on the subject. Always a joy to trade statistics with you Rod. It seems to me that a policy that sets out to reduce vehicle speeds to 20mph or less should achieve that policy objective to be deemed successful. Not sure how many other areas of business would call it a success to only reduce existing average speeds in new 20s by typically less than 2mph. In this case I would suggest a “significant move forward” should have been in the brief for success otherwise isn’t anything else a case of misrepresentation? re-the Dft’s figures as quoted by Pat… there are about 250,000 miles of road in the UK and the speed data is from a very tiny fraction of those. Many road have 100% compliance. You have been told before that this report measured just 9 20mph locations across the whole country which were chosen for being devoid of any hazards and in DfT words “speeds across 20mph roads as a whole may be lower than these statistics suggest”. The statistical significance of just 9 atypical roads in negligible. The binary nature of simply measuring the %age above the speed limit only gauges non-compliance. If you want to look at speed difference between 20mph and 30mph free-flowing roads then the same report tells us that average speeds are at least 6mph lower for every class of vehicle in such 20mph roads than 30mph. If you think that getting reductions of 6mph on faster roads is a failed policy then maybe you should revise your criteria for success. Thankfully, most of UK’s iconic cities, most of Inner London and whole counties are recognising that whilst 20mph limits are not a silver bullet, they are a significant move forward to making all our places better places to be. Do people really want 20mph speed limits or lower vehicle speeds? These two are quite different. Non-compliance at 81% in 20s seems to me to indicate a failed policy. What people say, what people think and what people do are three entirely different things. You flatter us unduly. We make a difference yes, but its mainly in presenting evidence that already exists. As for that “utopian state” I think you have been watching too many car adverts. Does that mean you are dismissing the report in its entirety or are you being selective? I guess those disagreeing with my comment are not disagreeing with the figures. They are what they are and copied from the report. But maybe they disagree with the idea that 69% being for something and 10% against is not somehow reflective of a general public support. Rod. Only because your organisation tells them or promises them a utopian state with things that as yet have not materialised. certainly not born out by the last 10 to 12 years anyway. Promises that it is doubtful will ever materialise fully. The will of the people also said – 91% of adults agree that “People should drive within the speed limit” – from face-to-face interviews of 2,963 respondents – an indication not what the whole nation thinks – the nation though football was coming home – they were mistaken……………..